Die namhafte Organisation Epsilon eSports, welche bereits französische Größen wie Richard 'shox' Papillon und Adil 'ScreaM' Benrlitom beheimatete, allerdings auch das Skandal-Team um Robin 'GMX' Stahmer zu ihrer Zeit unterstützte, hat in einem öffentlichen Drama sein CS:GO-Team verloren. In einem Ursprünglichen Statement wurde das Ausbleiben versprochener Leistungen verschiedenster Art kritisiert. In einem zweiten Statement wurde etwas zurück gerudert. So hieß es im ursprünglichen Statement das Leistungen wie ESEA Premium, Spielershirts, Ausrüstung, Turnier-Tickets und sogar ein Gameserver, nicht bereitgestellt wurden. Wenn eine Leistung seitens Epsilon erbracht wurde, so hieß es, war dies sehr verzögert und willkürlich. So wartete Jonathan 'MusambaN1' Torrent angeblich geschlagene sechs Monate auf die Zusendung seines Vertrages. 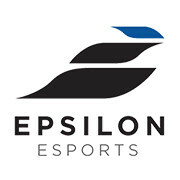 We have made the decision to leave Epsilon way too late, despite the fact that they have not given us anything of what was promised (bootcamps, paid expenses to an event in the United States, full gear support, ESEA premium, etc), a statement from the team read. We paid for the last months of ESEA Premium and for tournaments entry fees ourselves. We have had the same jerseys for almost nine months, and these are not even the official club jerseys. They are low cost jerseys that were shredded after a few months. They told us for three months that they would send us new ones, but they are still on their way. For every tournament we attended, they said they would buy the tickets, but then on the eve of the event we had to buy them ourselves. This happened in every tournament we attended. When it comes to salary, they paid it when they felt like it. MusambaN1 was at Epsilon for 5-6 months, and he spent most of that time asking for his contract to be sent to him so that he could start getting paid. His contract was not sent until a few weeks ago. Epsilon did not even give us a server to practice, we had to buy one ourselves. We are very sad for this situation and without motivation to continue to compete under this organisation, despite the good name they have in the scene. We have not achieved the goal of being a top team, but that is not a reason for players not to be treated fairly. In einem späteren Nachtrag erklärte das Team dann allerdings, dass Epsilon alle seine vertraglichen Pflichten eingehalten habe und die Meinungsverschiedenheiten und Spannungen aufgrund der Sprachbarriere und des mangelnden Erfolges entstanden. So hatten Epsilon eSports erst kürzlich die Qualifikation zur ESL Expo Barcelona verpasst, ein herber Schlag für das Team, welches wohl gerne vor den heimischen Fans gespielt hätte. We would like to apologize to Epsilon and clarify our statement, as the general public has misinterpreted the situation, Savall Garcia said in a statement. All financial & contractual obligations of Epsilon have been respected; however the language barrier creates frustration and delay, add to that the lack of results have put tension between both parties. We decided upon ourselves to leave the team and start from fresh without any pressure, however realized it was perhaps not the most appropriate way of proceeding. We are happy to say though, that we have sat down with Epsilon and agreed on release terms. As of today we will now be looking for new goals. Die beiden Parteien haben nun die Entlassung des Teams besprochen und sich geeinigt. Das Team wird von nun an auf der Suche nach einem neuen Zuhause sein. Interessierte Organisation können das Lineup via E-Mail an omar_ckk@hotmail.com kontaktieren.